By default, Internet Explorer 11 and Microsoft Edge keeps a feature called Do Not Track disabled. It basically relates to how much information a website and advertisers can capture about you as you browse the web. By default, Do Not Track is turned off on all the other major browsers including Firefox, Safari, Chrome and Opera. Only IE 10 has it turned on by default. This had caused quite a storm of controversy because a lot of groups feel it should be explicitly turned on by the user instead of being chosen for them automatically. This is why it was disabled in IE 11 and in Microsoft Edge. 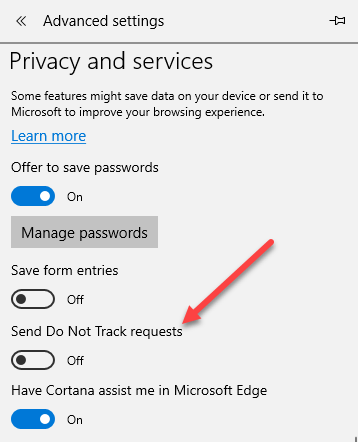 However, if you want to turn on Do Not Track in IE 11 or Edge, here’s how to do it. It’s worth noting that the Do Not Track request doesn’t have to be honored by the website you are visiting. It’s simply a request by your browser, which may or may not be followed by the website. First, open Internet Explorer 11 and then press the ALT key on your keyboard to get the file menu. Click on Tools and Internet Options. You can also click on the gear icon at the far right. Click on Advanced and then scroll down to the Security section and check the Always send Do Not Track header box. In IE 11, it’s called Send Do Not Track requests to sites you visit in IE. That’s about it. In Internet Explorer 11 (and first introduced in Internet Explorer 9), you can also enable Tracking Protection Lists for even more tracking protection. To do this, click on Tools – Tracking Protection. You can either create your own personalized list and add sites that you do not want to track you or you can click on Get a Tracking Protection List online and download ones that have been created and updated by third-parties. Once you download a TPL, click on it and then click Enable. Those are two ways that Internet Explorer 11 enables tracking protection. By default, Do Not Track and tracking protection are disabled. You now know how to enable or disable either one. 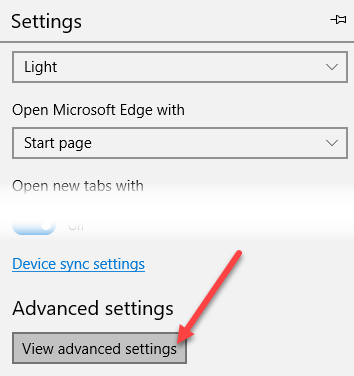 For Microsoft Edge, click on the three horizontal dots at the top right and then click on Settings at the very bottom. Next, click on View advanced settings, again, all the way at the bottom. Finally, scroll down to the Privacy and Services section and toggle the Send Do Not Track requests option. Now all HTTP and HTTPS requests will include Do Not Track. 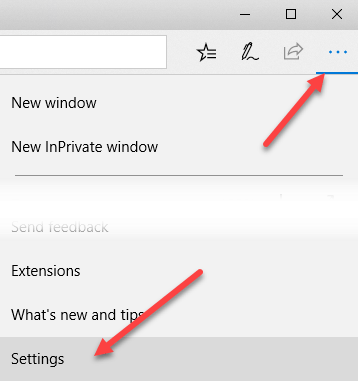 In addition, if you want more security and privacy, it might be a good idea to simply use the InPrivate browsing feature of IE 11 and Microsoft Edge. This is the same as using Incognito mode in Google Chrome. Enjoy!